We know you've worked hard during your time at University of Detroit Mercy. Commencement is a time to celebrate all that hard work with the entire Detroit Mercy community. New in 2019, there will be two McNichols Campus ceremonies. A morning ceremony for Master/Specialist/Doctoral candidates and an afternoon ceremony for Bachelor candidates. Please check the Graduation Day page for details. To make your commencement experience go as smoothly and enjoyable as possible, be sure to visit Preparation to Graduate and Frequently Asked Questions. You will always remember your days at Detroit Mercy, the professors who taught you and the lifelong friends you made. As a member of the Detroit Mercy family, we ask that you help continue the legacy that shaped your experience at Detroit Mercy by making a gift to the 2019 Senior Class Gift Campaign. What is the Detroit Mercy Senior Class Gift? The Detroit Mercy Senior Class Gift Campaign promotes the importance of philanthropy through a student-lead financial campaign. All a senior has to do is make a modest contribution to help leave our mark and make a difference for future students. Donate today. Committee members are asked to make a gift, help finalize the project that campaign funds will benefit, and help plan and promote multiple events throughout the second semester. The main goal is to celebrate Detroit Mercy seniors and raise awareness and funds for the Senior Class Gift Campaign. Show your school spirit and help the committee run a successful campaign. Email elliottjm@udmercy.edu to sign up. We’re suggesting a gift of $20.19 to remember the graduating class, but a donation of any amount can help make a difference in the lives and experiences of Titans for generations to come. The campaign has both a dollar goal and a donor goal. The number of senior students giving to the campaign positively influences the University’s ranking in publications such as U.S. News & World Report. 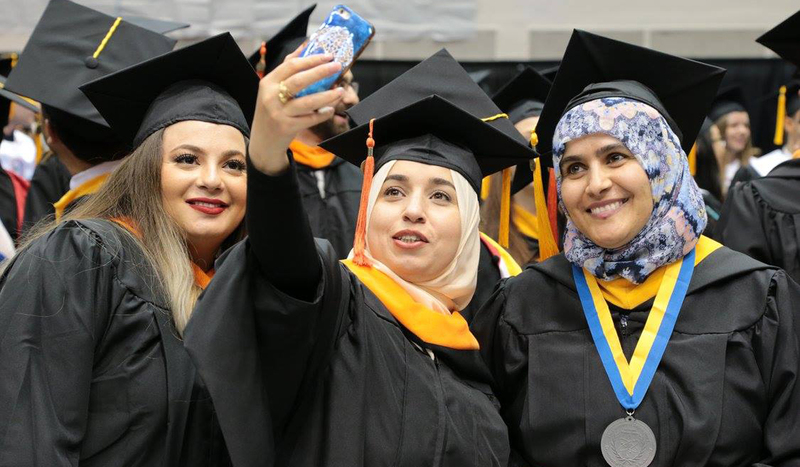 Last year, University of Detroit Mercy proudly welcomed School of Dentistry graduates, School of Law graduates and 1,147 bachelor's, master's and doctoral graduates from the McNichols Campus to our alumni family. Congratulations to them all for their years of hard work. We are honored to have been a part of their journey. Candidate seating charts by College and School for each ceremony will be added approximately a week before the events. For information on the Cap & Gown, check Preparations to Graduate. Only approved academic regalia can be worn. For additional questions please contact the Registrar’s Office at 313-993-3313. For information on the Baccalaureate Mass, contact Campus Ministry at 313-993-1560. Contact the College/School Dean’s Office. Requirements vary by college and program.